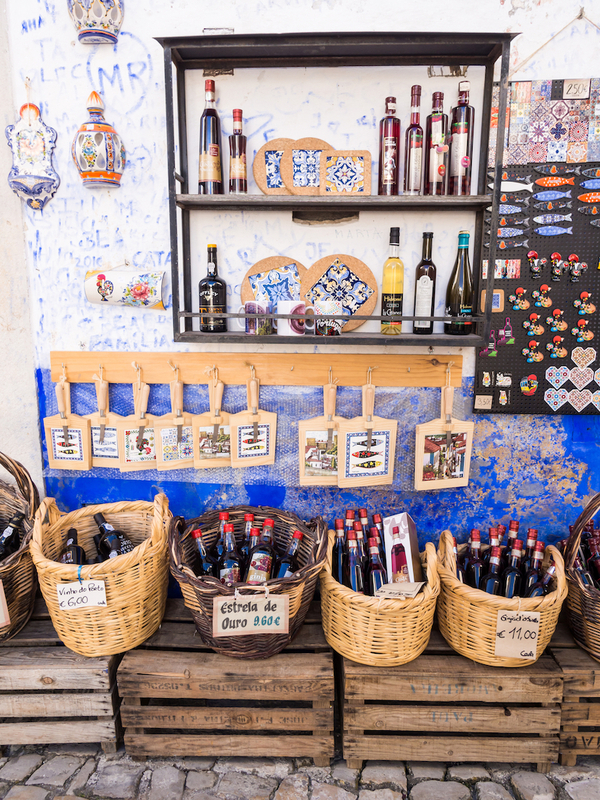 When you’re not hurtling around on Lisbon’s trams or Instagramming the alleyways of Alfama you’ll want to tantalise your taste buds with all the food and drink that the city has to offer. From fresh Atlantic fish to dreamy little custard tarts, Lisbon has everything for a food-fuelled visit. 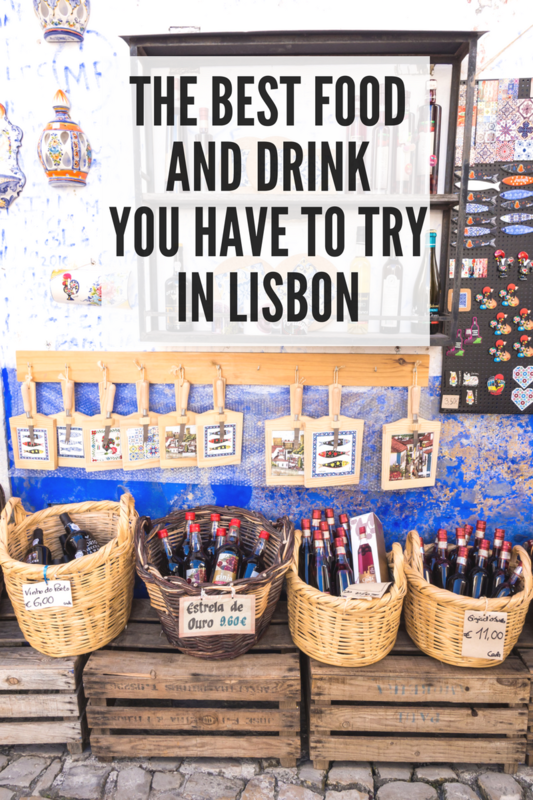 Here’s what Lisbon brings to the table and all the things you should eat in Lisbon! No, it wasn’t invented by Nando’s – Portugal did piri piri first. What you’ll actually get is succulent spit-roasted or char-grilled chicken, chips and, sometimes, a salad. The Portuguese don’t eat a lot of spicy food so you’ll also be presented with a bottle of hot piri piri sauce separately. That way you can spice it up as much or as little as you like. It makes for a tasty, budget bite during your stay. Travel Hack Tip: Like most European cities, there’s a ‘cover charge’ for extras like bread and olive oil brought to you table before your meal. If you don’t want to pay the extra Euros just refuse it. You cannot go to Lisbon and not eat Pastéis de Nata. A creamy egg custard is encased in crisp, buttery pastry and dusted with a cloud of cinnamon sugar. Heaven. They’re often served at breakfast – I may have indulged before 9 a.m. Don’t judge. 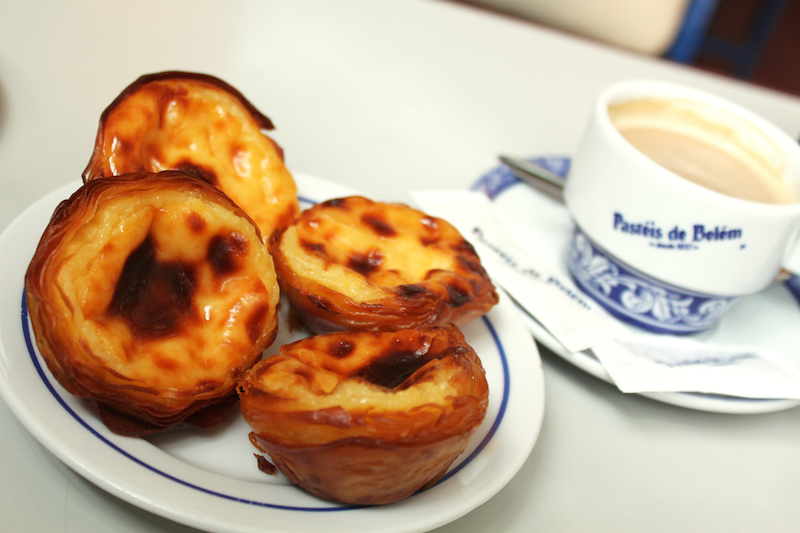 Pastéis de Belém is said to be the best but most bakeries in the city serve excellent ‘natas’ with gluten-free versions available too. Sitting right on the Atlantic means Lisbon offers the freshest of seafood and these plump, silver fish are Portuguese favourites. In June, during the festival of St Anthony, Lisbon’s patron saint, they play a leading role. The aroma of sardines sizzling on street barbeques wafts around the city during lively street parties. Served on bread, the best way to enjoy them is to eat the fish followed by the bread which has soaked up all the fishy flavour. The sardine season runs from May to October – it’s best not to eat them outside these months unless they’re from a can. Vintage-style cans of sardines are sold as souvenirs – they’re really that popular in Lisbon. Petiscos are to Lisbon what tapas are to Barcelona. Petiscos means ‘small eats’ and is great way to try lots of Lisbon specialities in one sitting. Order a few dishes, a bottle of wine and enjoy. Bacalhau, or salt cod, is the Portuguese national dish. There are meant to be over 365 ways to prepare it so it’ll probably taste slightly different at every restaurant. Most Lisbon restaurants will have it on the menu and Bacalhau à brás is the most popular way of serving this tasty dish. The cod is stir-fried with rice, scrambled eggs, fried potato, onions and garnished with black olives and parsley. Where: Casa do Bacalhau serves up 25 variations of this dish in its vault-ceilinged restaurant. The bifana is one of Portugal’s favourite snacks and great for eating on the go. A bifana is a bread roll filled with thin slices of pork marinated in white wine and garlic. The fried pork is loaded into a bread roll and slathered with mustard or hot sauce. Prego is the beef version and both are enjoyed best with a cold beer. Portuguese cheese is mostly from sheep and they can be pretty stinky but equally delicious.. Queijo de Azeitão is a PDO cheese made just outside the city. It centre is gooey and buttery and can be scooped out and eaten with bread or crackers. If you take a day trip to Sintra look out for bakeries selling these sweet little pastries. Travesseiros (which means pillow in Portuguese) give Pasteis de Nata a proper run for their money. 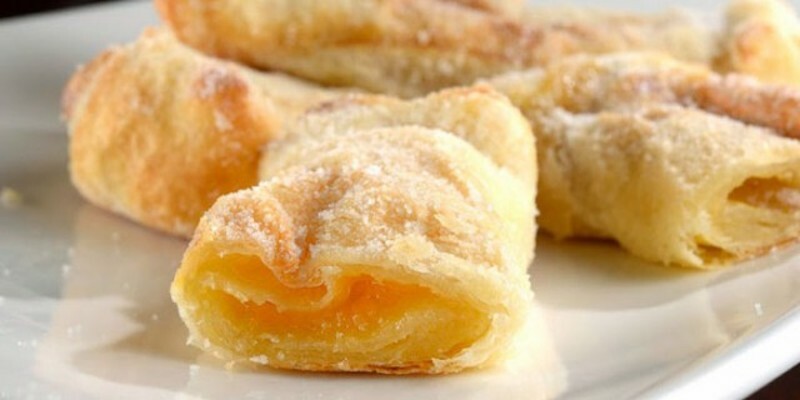 A bite into these yummy, sugar-coated ‘pillows’ filled with egg yolk, almond and sugar are a Sintra must-do. Obviously you’ll want something to drink with all this food and you’re in luck because Portugal produces very good wine. Choose by the glass at BA Wine Bar do Bairro Alto which has a cellar of over 200 wines and fabulous rooftop views. I first tried port tonic in Porto and they serve it in Lisbon too. White port is served with tonic water and a slice of lime and it’s deliciously refreshing. Best drunk as the sun goes down with river views. 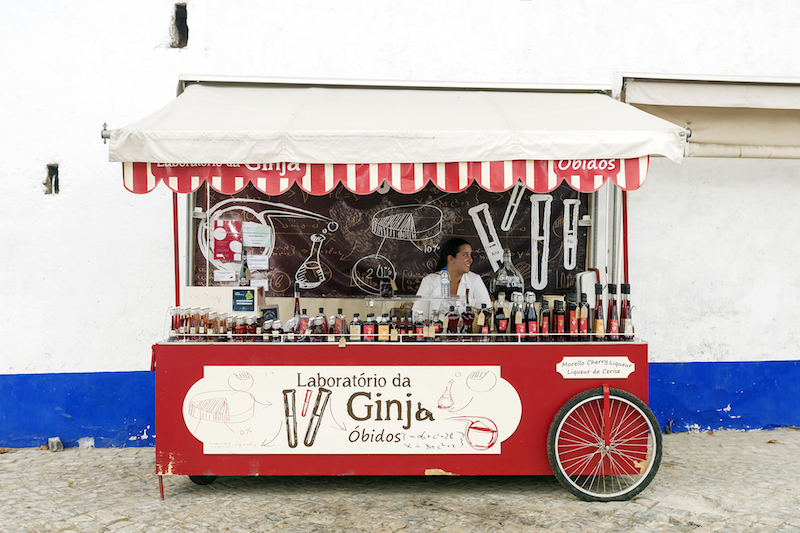 Ginja is a Portuguese liqueur that is made from infusing ginja berries (sour cherries) in alcohol and sugar. 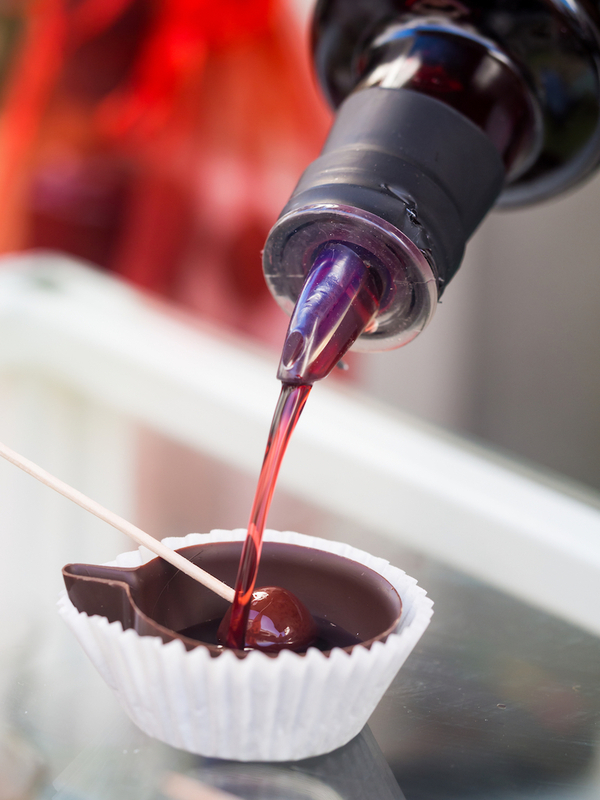 It’s served in a shot glass with a cherry in and is a typical Lisbon drink invented by one of the friars from the Church of Santo Antonio. It’s very sweet and dark red and very moorish! We had a flight of Ginja in a tiny little bar near Lisbon Cathedral. The barman wanted us to try the newest down to the oldest and choose which we liked best. By the time we got the last one we thought they were all good… Most bars and small cafes serve Ginja. Two excellent restaurants I’ve loved in Lisbon are U Chiado in the Chiado neighbourhood where I had amazing lamb chops and risotto – Portugal’s big on rice too. I also recommend Populi in the main Praça do Comércio square. Both serve up traditional Portuguese and international food. The Mercado Da Ribeira, known as Time Out Market, near Cais do Sodre station is an absolute must-do. It’s Lisbon’s most popular foodie hang-out set up in part of the old food market. It’s packed with stalls, aligned with some of the city’s best chefs and restaurants, selling a massive range of Portuguese specialities and world food. A lot of traditional Portuguese food is comforting and calorie-filled but it’s all tasty stuff. 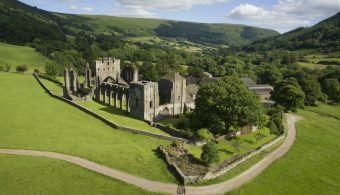 Exploring a destination’s food is good way to really get a feeling for a place and climbing all those steep hills mean you’ll have burnt off most of those calories before your flight home anyway. Win win! Have you visited Lisbon and explored its food scene? What was your favourite dish? 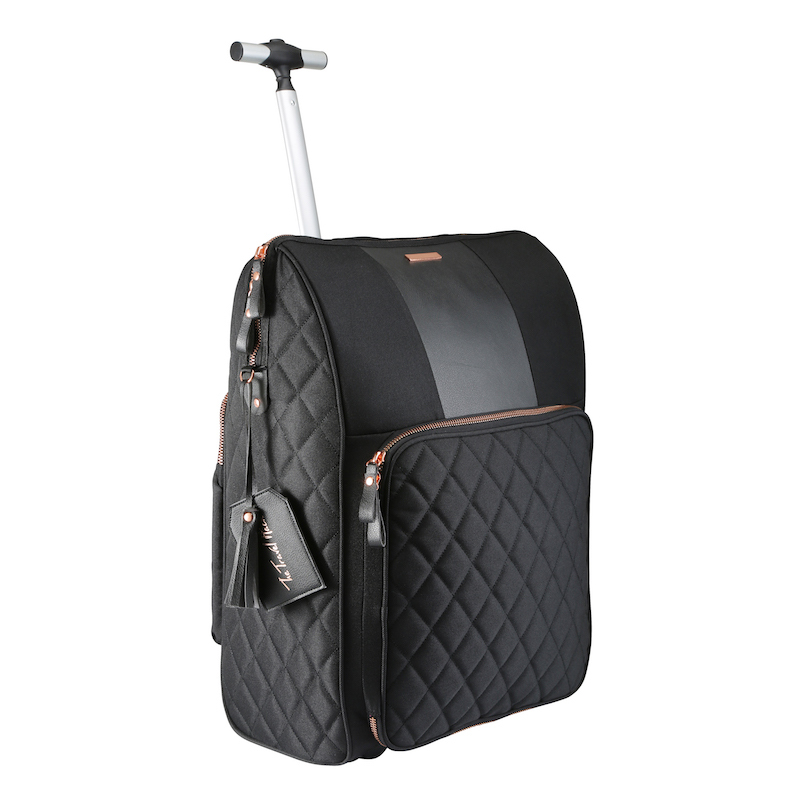 This article was written by the brilliant blogger Suzanne Jones, aka The Travelbunny. Suzanne is a serial traveller constantly on the search for adventure, wildlife and the next culinary encounter. When she’s not travelling and blogging at The Travelbunny Suzanne loves trying to recreate favourite dishes from her travels, long coastal walks and photography. Suzanne lives on the south coast near Brighton and can’t bear to be too far away from the sea. 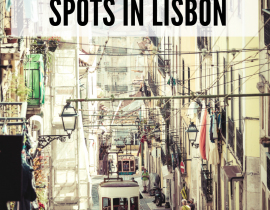 Literally in the middle of booking a trip to Portugal so am bookmarking this now! All this food looks soooo good, especially the pastries! great post! Where you wrote “Prata do dia” is actually “Prato do dia”. Prato means dish and Prata means silver. Lisbon is next up on my travel bucket list. I enjoyed all of these posts. Your pictures are amazing!